Kelly McMurtry has an Associate in early Childhool Develpment, Bachelor's Degree in Social Work and Master's Degree in Clinical Social Work. She is passionate about serving clients who suffer from abuse, anxiety, depression, and trauma. Kelly has extensive experience in forensic interviewing, treating traumatic stress and how it affects child development, attachment, relationships, and daily functioning. 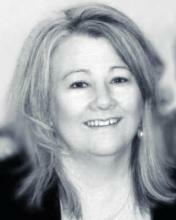 She has specific training in the treatment of childhood abuse, (sexual, physical, verbal) as well as domestic violence. Kelly is passionate about treating the family as a whole and helping them to heal from traumatic stress. She uses a variety of modalities during therapy which include: Trauma Focused Cognitive Behavioral Therapy (TF-CBT), Eye Movement Desensitization Reprocessing (EMDR), Parent Child Interaction Therapy, Emotional Freedom Technique (EFT). Kelly also is a Stewards of Children Facilitator; this training will educate adults on how to prevent childhood sexual abuse and to know what steps to take if they find out sexual abuse is happening to a child they know.